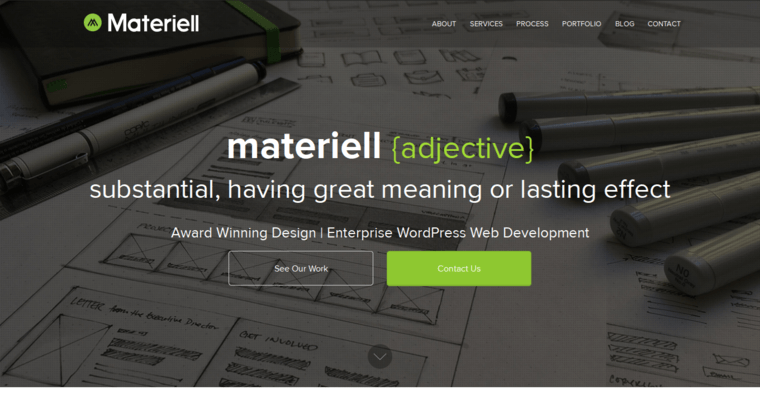 Materiell is one of the best website-design and advertising agencies around today. They tackle website design, web development, digital marketing and webmaster services. 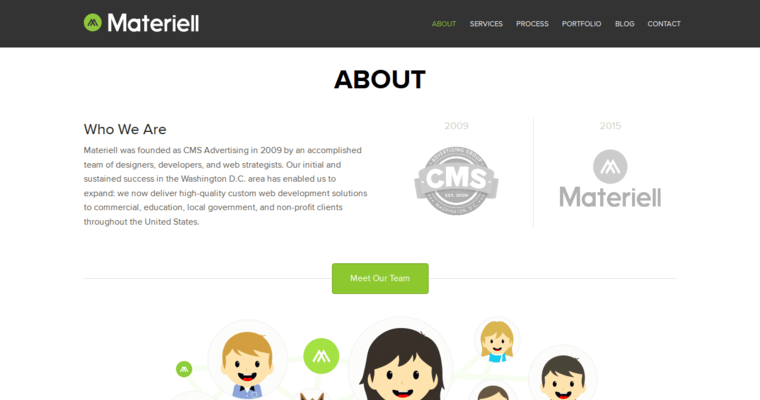 Materiell is a DC based firm that has won numerous awards for their work in these fields. The word Materiell is an adjective that means: substantial, having great meaning or lasting effect. Materiell works for clients of any size or business sector. They also work with charities, non-profits and academic institutions. They can even create CMS software solutions for your brand or business. When it comes to website design, this firm specializes in Enterprise WordPress. 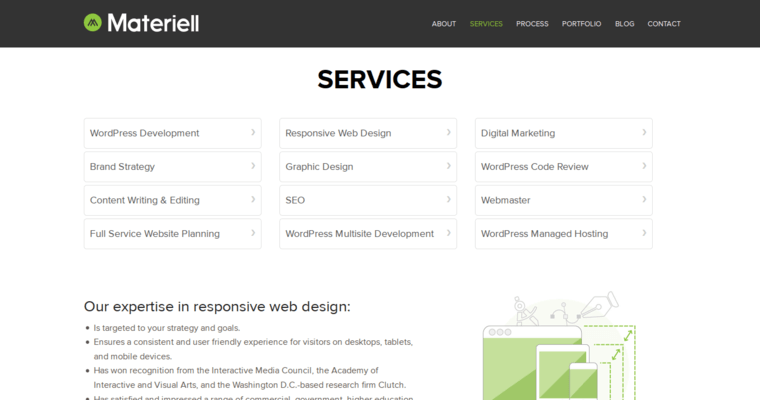 Once your website is completed, Materiell can continue to provide services and support. They even provide training and live up monitoring 24 hours a day, 7 days a week. Materiell can also help to increase your site's visibility with SEO, SEM and social-media advertising. They provide comprehensive, data-based marketing services.